Slow-release energy for horses in work. Low calorie so does not encourage weight gain. Good for excitable or sharp horses. Great value and convenient as it is an all-in-one feed. High in fibre for excellent digestive health. 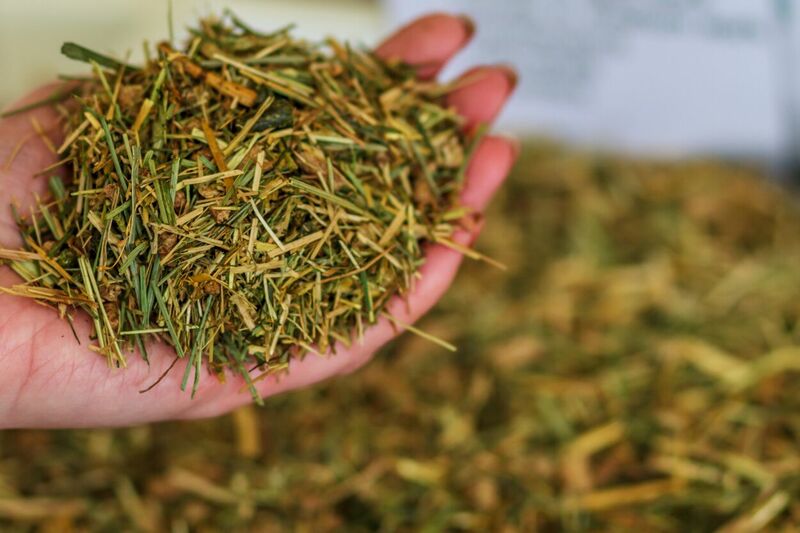 Highly palatable – horses love it. 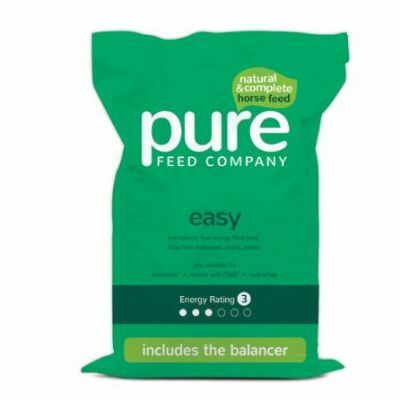 Pure Easy provides slow-release energy for horses in work, but is low calorie so doesn’t encourage weight gain. It is high in fibre which promotes good hind gut health. It contains our premium balancer which means it comes fully loaded with every vitamin and mineral your horse needs, as well as pre and pro biotics and amino acids. With so much included in one bag, it really is great value when you break down the costs of buying these individual components separately. Pure Easy can help you if your horse has one or more of a number of conditions. It is low in sugar and starch which makes it suitable for laminitics. The oil-based energy source delivers a low ration of calm calories which helps with the temperament of fizzy horses. And it is also one of our excellent options for good doers who do not need anything extra for maintaining condition. Like our other feeds, Pure Easy provides all the nutrition your horse needs in one bag. This makes it super easy for you, or anyone else, to purchase the right feed and serve it to your horse. Pure Easy is the light green bag – simple as that. 400-600g per 100kg body weight per day depending on workload and body condition. We recommend that you dampen well with water prior to feeding.